On 28-th of January on the Armenian Army Day the online booking system Reservin organizes book collecting action. To replenish the military libraries we need the help of each of You. We are sure that each of You has some books to provide Armenian soldiers with. Reservin urges everyone to stay involved and participate in this important initiative. There were placed special boxes in every partner-institution (see the list bellow- included in our network. The Books You gladly donate to the Armenian Army will be collected right In that boxes. 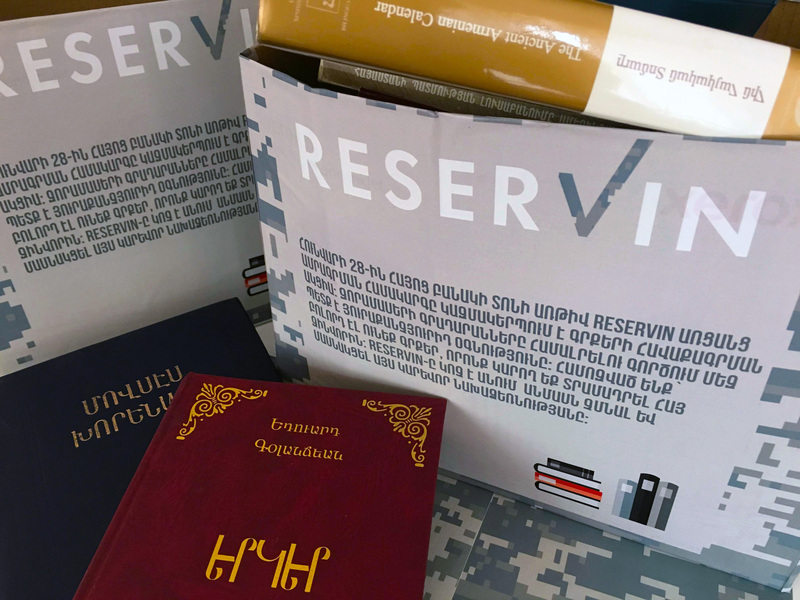 After the action the collected books will be sent to border military units, the list of which beforehand will be approved in cooperation with the Ministry of Defense. The action will last until the 23th of February. This initiative by Reservin has already ''infected'' many people, every day many business partners join the action. It'll be great if You join too: let our young men who patrol our borders read the books You present.